Developer(s): Tecmo Koei Games Co. Box Text: You Against an Army! The world of The Legend of Zelda meets the massive-scale action of Dynasty Warriors! Fight as your favorite characters on a battlefield teeming with foes! Battle from the depths of the Water Temple to the heights of Skyloft! Includes co-op play with the Wii U GamePad controller - no split-screen! 09-27-2014 pacpix Box Text You Against an Army! The world of The Legend of Zelda meets the massive-scale action of Dynasty Warriors! Fight as your favorite characters on a battlefield teeming with foes! 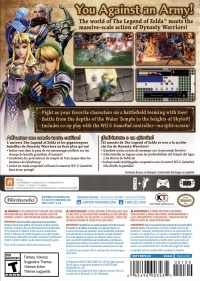 Battle from the depths of the Water Temple to the heights of Skyloft! Includes co-op play with the Wii U GamePad controller - no split-screen! 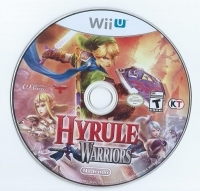 This is a list of VGCollect users who have Hyrule Warriors in their Collection. 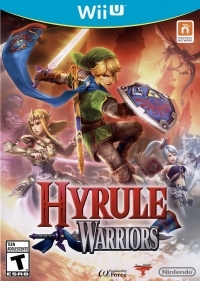 This is a list of VGCollect users who have Hyrule Warriors in their Sell List. This is a list of VGCollect users who have Hyrule Warriors in their Wish List.